Published by Murry in Metrilo Updates and News, Popular. 4 mins to read. It is one of the first major acquisitions in the lifestyle eCommerce space and it is a company that’s been with us since its day 1. He built his business from scratch to $100M in 2.5 years. And we were there to witness it all. That’s what makes our work awesome. 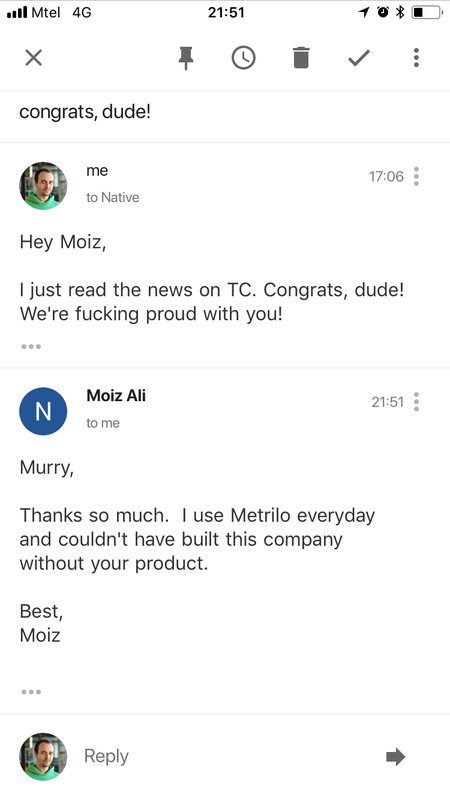 Moiz was the major driving force behind revamping our Retention feature because he really wanted to focus on his retention metrics and he needed Metrilo for it. I immediately sent him congrats and a printout of his reply has been pinned to our wall ever since. We popped a few drinks to celebrate and discuss how it happened so fast. And we were blown away by how simple it actually was. He was just doing it all the right way. I’m gonna break it down here so you can see how simple yet brilliant it is. Mission statement: Be bold or go home. Well, let’s be honest – deodorant isn’t really an exciting product. But when you look at Native’s mission statement, it gets you thinking about what you’re using. Moiz knows that consumer’s attention span is only a few seconds – so he has to make deodorant exciting and important right away. And Moiz just nailed it. His value prop doesn’t make huge health statements. It doesn’t even mention how most deodorants might be causing cancer according to the latest scientific research. It just sets itself apart by what it isn’t. And that perfectly grabs the attention. 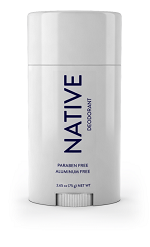 Yes, it’s a bit playing on your fear, but the idea of the product is to be the good guy deodorant that works on perspiration without causing you health problems. Even if you didn’t care what you put on your skin before, it makes you listen now. Every business says they care about their customers. But Native actually does. Moiz created a smoothly-operating feedback loop to collect customer opinions – what they like and dislike about the products. He was constantly improving his deodorants. He’d launch or stop products based on how people reacted to it. 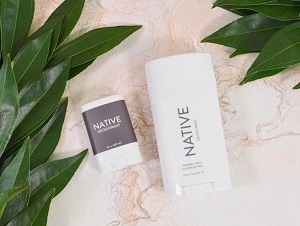 He was changing the formula – adding or removing ingredients – until people really LOVED Native deodorants. In December 2016, Native was at version 24 of the product. Yep, 24 versions in a year and a half. That’s pretty amazing. Not to mention that hundreds of versions of the formula didn’t even hit the market. Retailers approached Moiz, wanting to stock Native – but Moiz refused because that’d break the feedback loop – and he needed to know what Native’s customers think. This devotion paid off well, I think. Happy customers equal loyal customers. And Native was really passionate about making sure they don’t have a one-time relationship with their customers. Half of Native’s monthly revenue comes from repeat customers. Even though their product is way pricier than the average on the market, people are more than happy to buy it again and again. Moiz was one of the people that pushed us hard to re-build our Retention feature. He was really determined to understand his customer’s purchase intentions – how often different people buy his products – and making sure he tailored their experience. 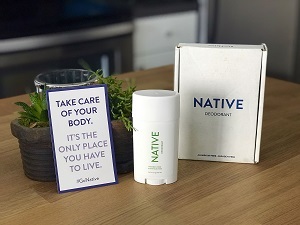 He also had subscriptions for Native’s deodorant with a few delivery intervals to choose from, depending on their personal habits and preferences. Customers save 15% on average if they go with the subscription. To achieve such amazing growth, you need to make sure you’re acquiring customers on the right channels (and obviously, retain them afterward). Native focused on finding scalable channels that bring the right customers in. They were basically everywhere their customers might be hanging out. And by monitoring the numbers in Metrilo, they were able to figure out what are the channels that drive loyal customers. Most of the initial traction came from Facebook advertising, YouTube and Instagram reviews by influencers. But Moiz made sure every acquisition is measurable so that he can track the long-term value and scale of each acquisition channel. Stand out from the crowd. Show people why they can trust you. Find the right scalable acquisition channels with low CAC. Monitor each channel’s performance. Really understand your customers – what they LOVE and what they don’t like about your brand. Fix the latter. Build your business in a way that stimulates repeat business. P.S. Metrilo was built to help eCommerce companies achieve growth just like Native did. You can sign up now and get a free consultation with our growth team.